We do a lot of useless hacks just for the fun of it so when we see something with purpose it’s pretty exciting. This hack turns any kayak into a motorized vessel that can be controlled by a quadriplegic person using a sip & puff interface. After the break you can see some clips of navigation and an explanation of the hardware. [Mark’s] system starts by adding outriggers to a kayak to prevent the possibility of the boat rolling over in the water. 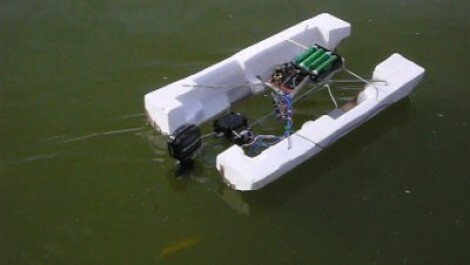 Each pontoon has an electric trolling motor attached to it that is controlled by an Arduino via a motor driver. The Arduino takes navigational commands from a sip & puff controller. A straw in the operator’s mouth allows them to sip or puff for a split second to turn left or right. Longer sips or puffs control forward and reverse incrementally, up to a top speed of about 3.7 miles per hour. [Mark] incorporated an auxiliary remote control interface so that a safety observer can take control of navigation if necessary.